OBX Connection Home > OBX Connection Forum > Zman scented crabz rigging? Just got a pack of Zman artificial crabs (manufactured in Ladson, SC) and wanted to ask how anyone does the rigging? Below is a pic of one of their competitors rigged on a stand-up jig, but I also found pics of Zman rigged "point to point", so that the crab swims sideways. Anyone here have rigging suggestions? 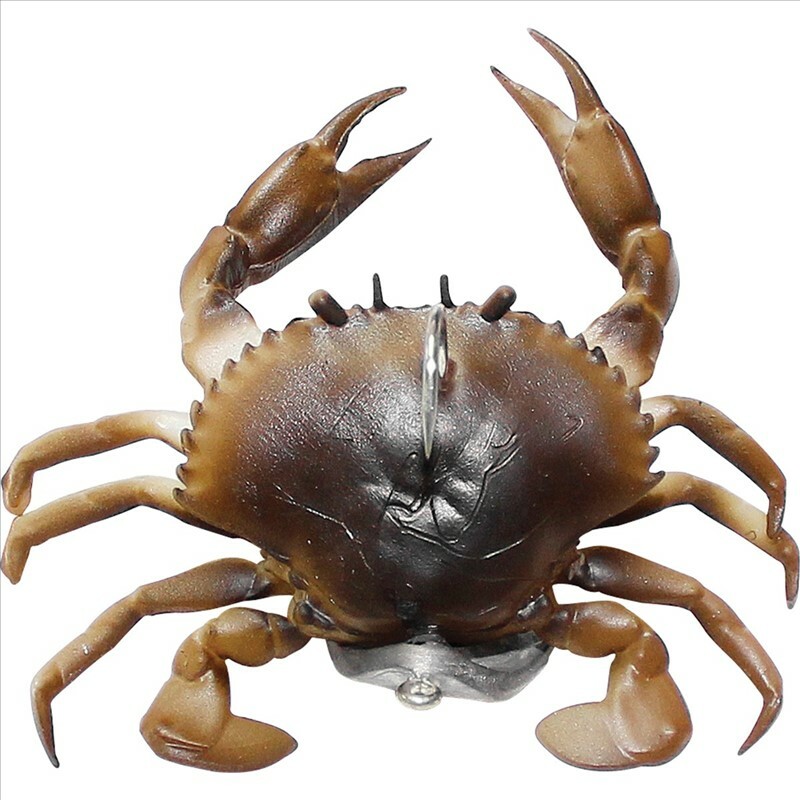 RE: Zman scented crabz rigging? Crabs naturally move sideways. Rig it point to point if you will be 'swimming' it. Didn't know ZMan had crabz! Will have to check them out. If it were me, it would depend on how I was fishing them. If I were drifting I would do it sideways to imitate swimming, if anchored I'd do it as you showed in the pic. Just to try to imitate real behavior either way. Now that I think about it, maybe set up a double bottom rig with the bottom set up front to back and the middle sideways. Just thinking out loud... Good luck!! Going shopping now! Yes...it appears both ways work. I see now that they have a slot; after reading Zman article further (which I should have done in the first place), the slot is for rigging. Looks like a weighted hook will do the trick. The slot is for a "sideways" presentation recommended by the company. I also read elsewhere that the jig rigging in the picture is used where you see active fish...and just still fish the thing with an occasional movement, because the claws will be up. Looks like with the pictured set up you would have almost a weedless lure. Got some last year didn't have much luck. But to be honest wasn't doing much with cut bait either. They look like they should work,Keep us posted . I have used imitation crabs here in Fla. and have the most luck with them on Black Drum. They work best for me if you get it in the area of the fish and do not move it. Wiggle it is good, but do not move it. With some stink on it, if they find it they will eat, assuming they are feeding.